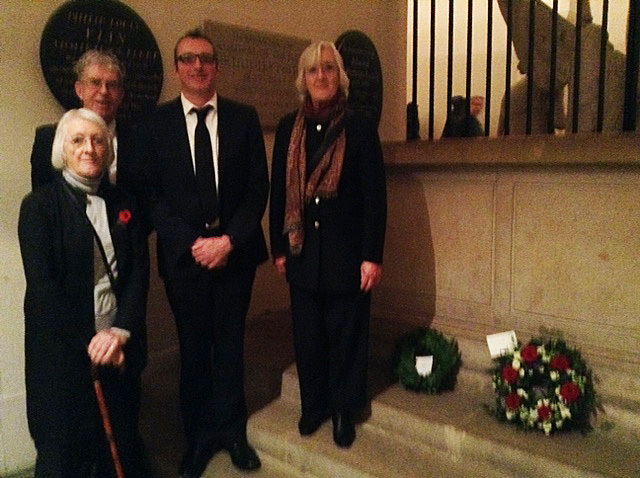 (L) Society Representative at St Paul’s, Ian Wallace, with family members Judy and Jenny Collingwood, plus Chris Hawkes. 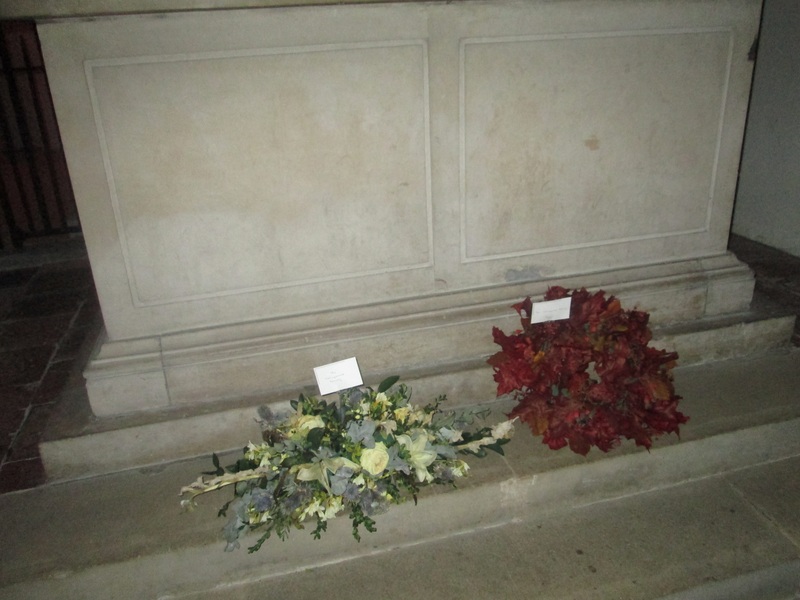 (R) Family and Society floral tributes. 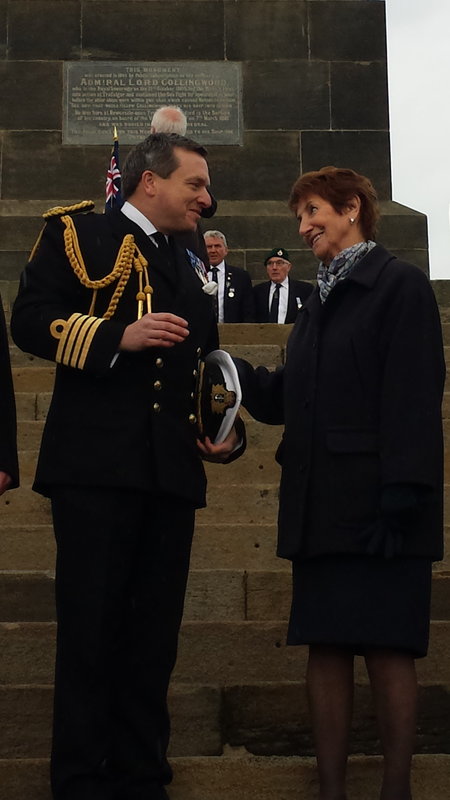 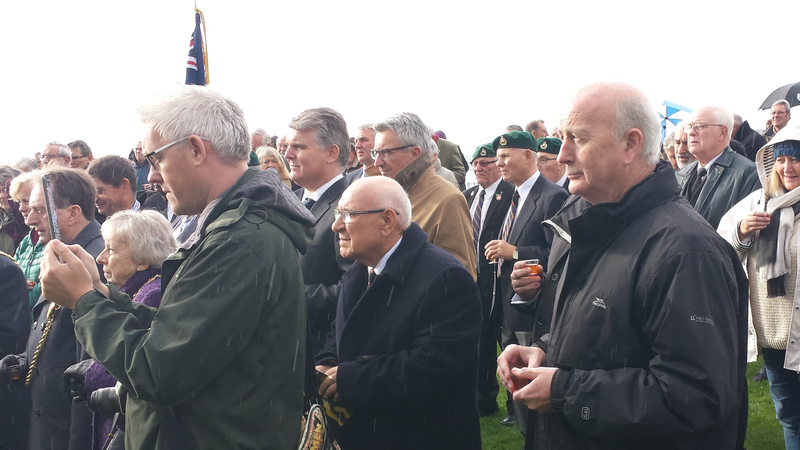 (L-R) Capt Andy Jordan ADC, RN, the attentive crowd, Capt Jordan with Elected Mayor of North Tyneside, Norma Redfern. 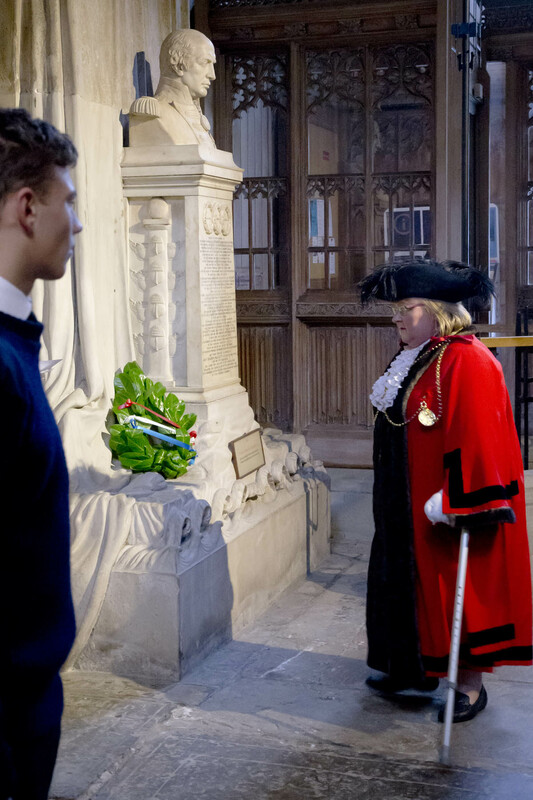 (L) Lord Mayor, Councillor Hazel Stephenson, lays the wreath. 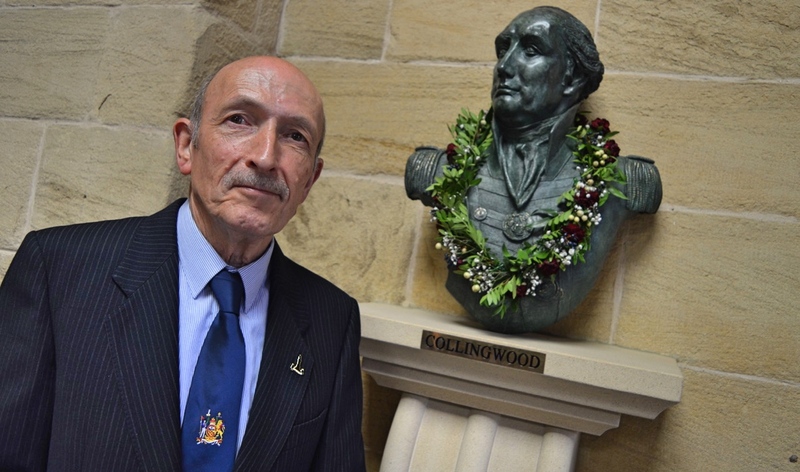 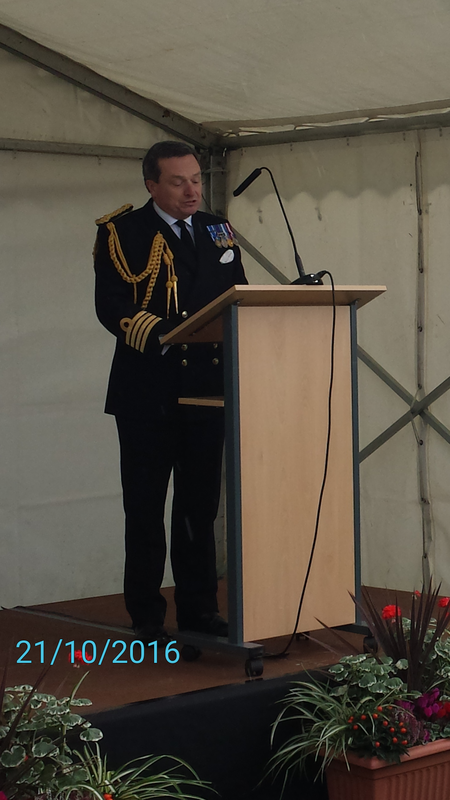 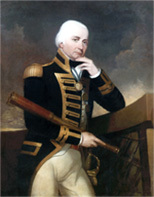 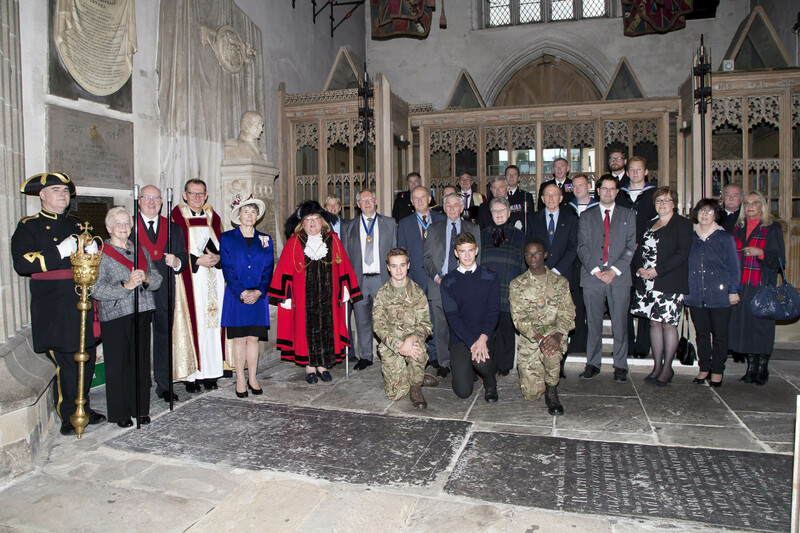 (L) Society and family representative, Nigel Collingwood at the Admiral’s bust.